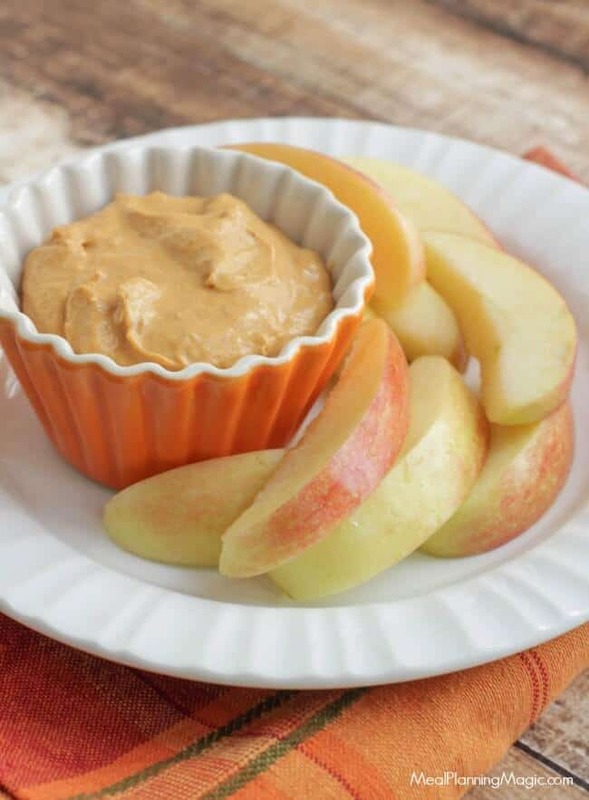 My Creamy Pumpkin Dip is so simple (only 5 ingredients!) and extra tasty with fresh fruit like sliced apples. 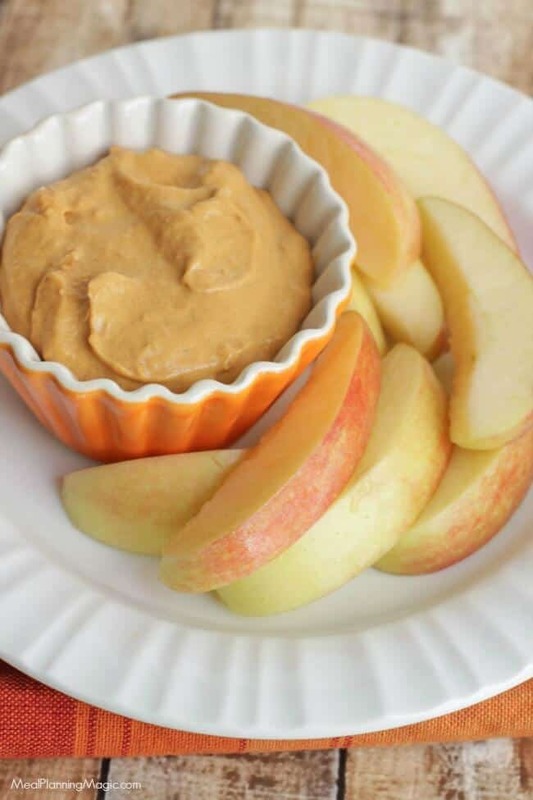 It’s perfect fall snack or treat anytime of the year! Don’t say I didn’t warn you but if you love pumpkin, you may find yourself eating all of this Creamy Pumpkin Dip yourself. At least I found myself heading that way when I made it! It’s the perfect afternoon snack. I originally shared this recipe back in 2012 but I updated it with new photos. Are you a pumpkin fan? My family can take it or leave it but I LOVE it! I even have a whole Pinterest board called Pumpkin-palooza. Yep, I’m crazy for pumpkin and don’t just wait for fall to enjoy it! 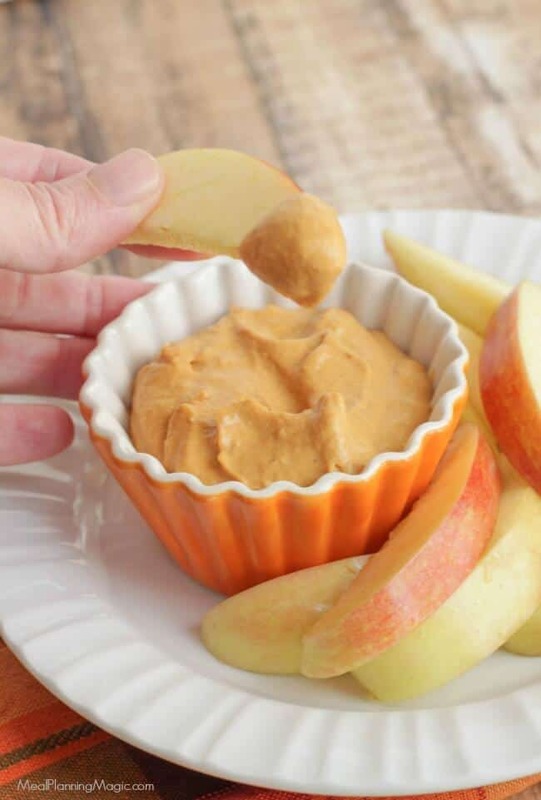 With just five simple ingredients this Creamy Pumpkin Dip super quick to whip up! It has just a hint of sweetness and with the apples, it’s wonderful. Before I knew it I had eaten nearly a whole apple with this dip. I hope you’ll give it a try…it would be great on your fall holiday tables too as a healthier snack option. Enjoy! Since this post was originally part of a Sunday Supper event, I’ve decided to keep the links to all the recipes that were shared on the original post. The theme that week was the color orange! It’s the perfect way to get into the fall mood, don’t you think? If you’re not familiar with #SundaySupper, the idea is that we all need to take the time, even if it’s just once a week, to get back to the family dinner table and share our time with family. For generations before ours, it was a weekly tradition and it’s something that we hope to make a tradition once again in households across the globe. I cannot tell you how excited I am to check out everyone else’s posts this week—the previews I was seeing were enough to get my mouth watering. 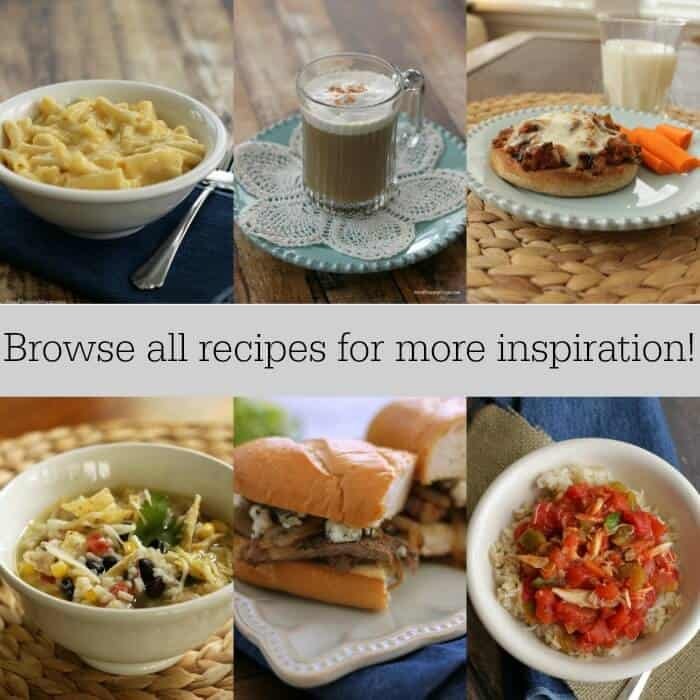 Take some time to explore all these other bloggers and their all-things-orange recipes. Before diabetes, I used to make a pumpkin dip and serve it in a hollowed out pumpkin with gingersnaps as dippers. Sadly, it contained a ton of powdered sugar and I haven’t made it in ages. Your version looks more like something I could actually eat. Thanks! Loved the combination, pumpkin and apples. Thanks lot for sharing. Brenda, pumpkin cheesecake flavor sounds wonderful! What a delicious dip! And I love that it’s served with another fall favorite, apples! Our whole family eats tons of fresh sliced apples in the fall. We love them, esp fresh from the local orchard! This would be a fun treat to serve one evening with the apples. This looks like an easy and unusual dip to whip up for my next get -together or just for my family ! Wholesome, fresh and lovely ! Thanks for sharing ! What a great dip. With the apples, nice to have out for after school snacks. 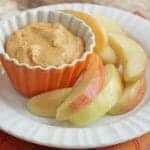 This is so easy to prepare and looks yummy to go with apples! Great idea, Brenda! Oh my goodness! Pumpkin DIP!?!?! How heavenly! I need to try this for my hubby asap. So cool. This would be awesome with pound cake, marshmallows, or fruit! This dip is a terrific idea for a fall appetizer for my next party! I love it!! This dip is a terrific idea for fall party! I’d love to serve this at my next party!! I could easily eat this dip with a spoon. Forget about pairing it with a food 😉 Thanks for this ingenious recipe! I bet this would be delicious as a bagel spread too!